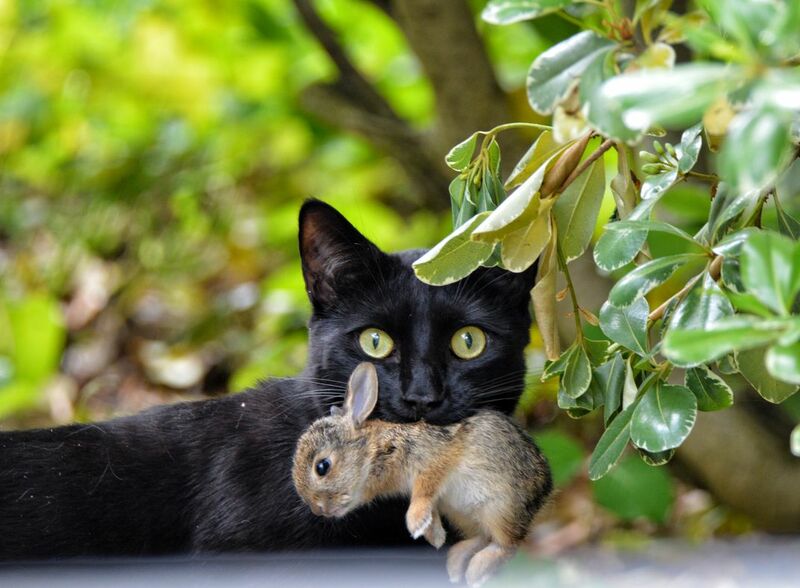 A neighborhood cat kills a baby cottontail rabbit from a nest near my backyard. Letting domestic cats roam outdoors is a very controversial issue, for reasons such as this. A well-fed pet cat still has the desire and instinct to hunt, but often kills prey without actually consuming it. 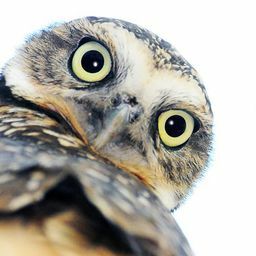 Birds and small mammal populations can be affected by domestic outdoor cats, and yet there are also valid arguments for allowing a cat to experience life outside of our homes. While this image is sad, it also depicts the everyday struggle of nature vs. a world of human ideals.